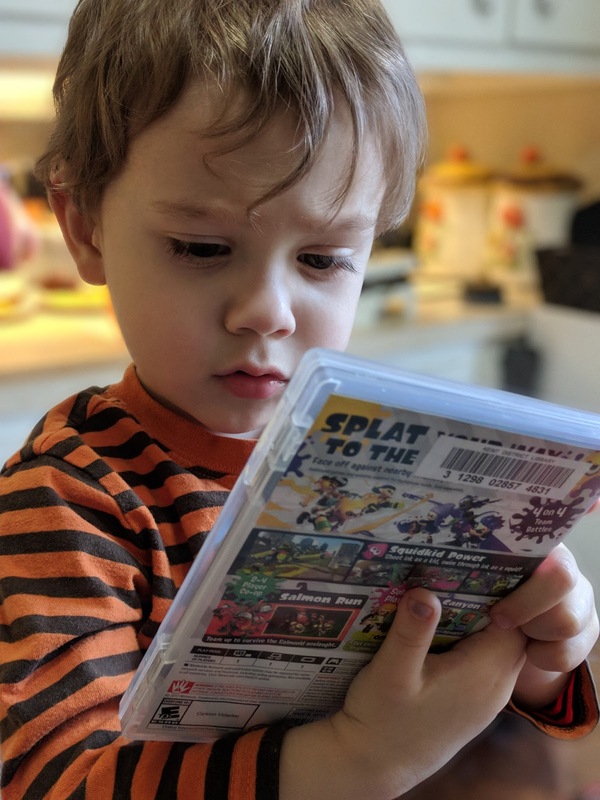 My hold on Splatoon 2 finally came in and Quinn couldn't be more interested. Ever since he saw the characters in a Nintendo Direct video he's been asking to play. 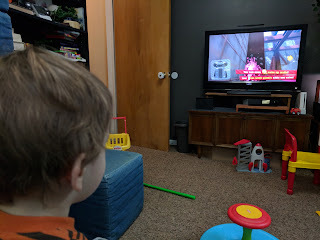 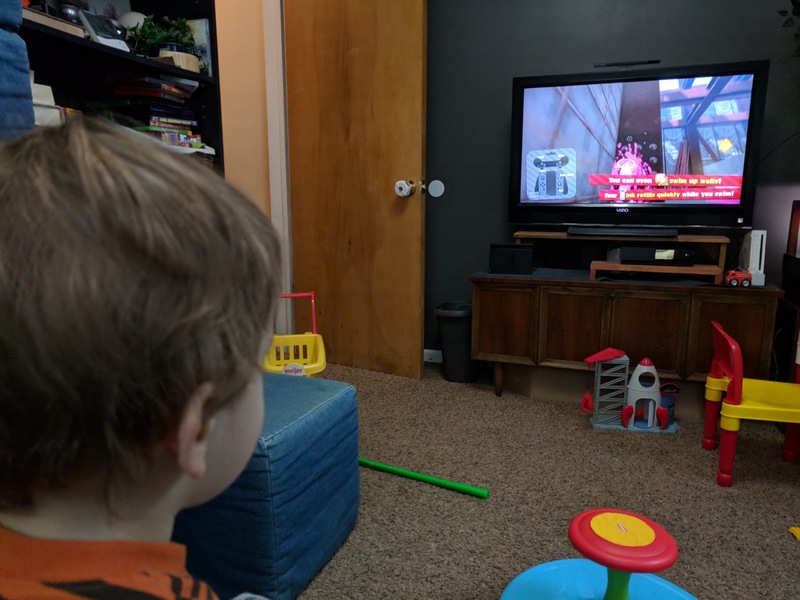 Splatoon isn't a game I would seek out, but since we have it I've been enjoying helping the toddler navigate the tutorial.